Almost Home offers a wide variety of Bradenton, FL corporate housing options for every short or long term furnished apartment need you may have. Contact us today to receive a temporary housing quote customized just for you in your desired area of the city. We wish to help familiarize potential newcomers to life in Bradenton and therefore provide the following informative summary of various aspects of this city. Take a few moments to acquire the knowledge of a long-time resident before you arrive. Bradenton, FL corporate housing residents in town on business might appreciate some information about the city’s business environment. Bradenton is situated on the west coast of the Florida peninsula. It is located inland within Manatee County and is perfectly situated, from an agricultural perspective, and eventually become the center of Anthony Rossi's Tropicana Orange Juice business until 1998, when it was sold to PepsiCo. PepsiCo moved the operations to Chicago, but the facility that operates the juice business still remains in Bradenton. Aside from the orange juice facility, Champs Sports also has its headquarters located here. Bealls department store is also headquartered in Bradenton. Current growth of the city is concentrated in the eastern part of Bradenton. The new growth has seen revitalization of the city pumped in by new dwellings and additional services to serve the new residents. The economy here, and the emergence of a new economic base, is founded on the residential property market and the services that go into servicing residents and local communities, from local eateries and banks to plumbing contractors and building contractors. More growth is expected as the average population of the United States increases and more warmth-seeking residents find their way south. Knowing what clothing to bring with you to your Bradenton, FL furnished apartment is somewhat dependent on the local climate. Bradenton is located a little inland off the gulf coast, which influences most of this region's weather. This gives the city a hot and humid climate thought the year. Spring is mild with temperatures ranging from lows of 60°F in April to highs of 88° in May. Summers are excessively hot and humid, reaching a high of 92° in July and August, then tapering to 85° in October to lows of 52° in December. So, be sure to dress right and then venture out of your Bradenton, FL corporate apartment to enjoy the wide variety of outdoor activities that this area offers. Being a temporary resident in Bradenton, FL corporate housing need not relegate you to feeling like a complete outsider. Acquaint yourself with Bradenton’s history by reading our brief historical summary provided below. The Spanish arrived in this part of Florida in the early 16th century, led by Hernando De Soto. The city took its name after Dr. Joseph Braden who provided shelter to the town's inhabitants during skirmishes with the Seminole Indians. There were many minor skirmishes in the area during the late 1800s. Dr Braden's home was fort-like and was able to withstand attacks and shelter those who came seeking it. As a hero of the city, the town was eventually named Bradentown. During World War II, Bradentown was merged with Manatee and the name was officially changed to its present name of Bradenton. Fav's Italian Cucina on 12th St W: A simple restaurant serving typical Italian mainstays of pasta, and meatballs. There are pizzas and calzones to round out the menu along with lemonade and wine, although the wine menu is limited. The staff are well trained and the environment is comfortable. Robin's Downtown Cafe on 12th St W: The sandwiches here are what most locals come for. Their deli selection is fairly extensive with all the regular cheese and meats. The counters and tables are clean and so is the kitchen. The waiters are friendly and always quick. Anna Maria Oyster Bar Landside on 14th St W: A good selection of local seafood. A raw selection that is fresh and a cooked selection that is seasoned well and is the product of Italian seafood recipes and flavors. A clean environment with a distinct bouquet of the ocean, from the open bar of seafood, no doubt. Ezra Cafe on Manatee Ave W: A comfortable and cool place to get out of the sun and enjoy a lemonade. The pastries here are a great snack in the afternoons. There are also meatloaves and pastas as well as sandwiches and pies that are lunch time favorites of the local population. Pier 22 on 1st Ave W: Pier 22 is famous for its fresh catch. They have a Cajun and southern interpretation of seafood and the tastes work better at diner than they do for lunch. There are other fish here that is not part of the local catch including salmon, but the fresh catch is the local favorite. 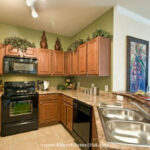 Stepping out of your Bradenton, FL temporary housing is bound to present you with numerous interesting activities. We have listed a few possible entertainment options that may appeal to you. Museum: The South Florida Museum located on 10th St has a number of attractions including a planetarium and a Manatee Aquarium. There are even exhibits that rotate during the year including works by da Vinci and other great artists. Theater: The Manatee Players is quaint theater with a clear sound system and interesting performances by the local troupe. The shows here include classics like Grease and Peter Pan and holiday favorites like Christmas Pageants. Shopping: An interesting place to be is the Red Barn Flea market on 1st St which has all kinds of vendors selling their wares in 80,000 sq ft of space. From food to produce, this indoor, air conditioned shopping area is a chance for shoppers to find great deals and find things they normally wouldn't at a regular mall. Golf: The River Run Golf Links on 27th St E, is an 18 hole course with 6293 yards from the Blue Tee on a Par 70 course. The Red tee plays 4709 yards on a par 70 with a course rating of 66.8 and a slope rating of 119. Parks: The Lake Manatee State Park is located on State Rd 64 and has numerous activities including swimming, fishing, kayaking, boating, and bicycling. Although it's called Manatee Park, visitors will not be able to see any manatees here. Whatever your reason for visiting Bradenton, Almost Home Corporate Housing is your best choice to provide you with a Bradenton, FL furnished apartment that is perfectly tailored to meet your unique housing needs. Call us today to receive a quote or fill out our simple housing request form at the top of this page.